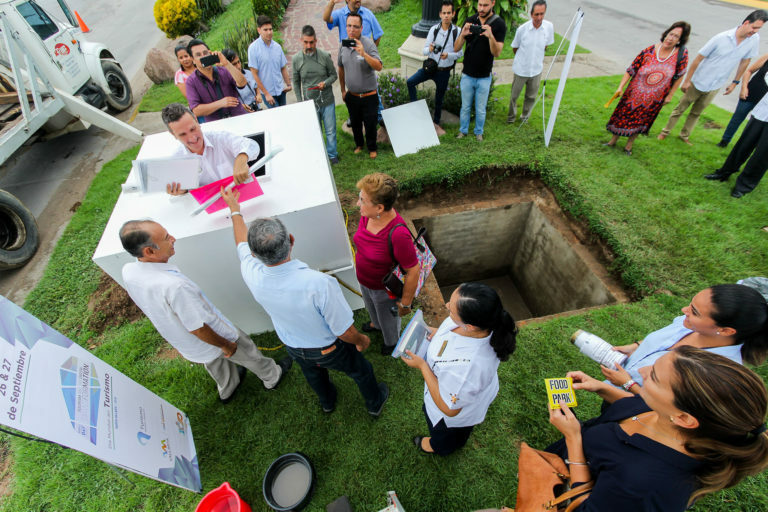 As part of the activities for the World Tourism Day and within the framework of the centenary of Puerto Vallarta as a municipality, with the presence of municipal authorities, representatives of the tourism, business and educational sectors buried a Time Capsule, which will be sealed for 25 years. On behalf of the interim mayor Rodolfo Domínguez Monroy, the director of Municipal Tourism, Ramón González Lomelí, buried the capsule marking a moment in the history in Puerto Vallarta. Monroy thanked all those who contributed to the memory capsule, allowing future generations to be responsible for opening the box, in the year 2043, adding that this type of events honors the main economic activity of Puerto Vallarta, which is tourism. He also recalled that this initiative was the brainchild of the entrepreneur and hotelier Martha Dau, so they worked together with the Association of Hotels and Motels (AHyM) of this city. 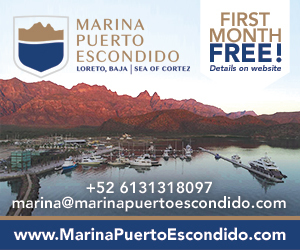 For its part, the chronicler of the city, Juan Manuel Gómez Encarnación, said that in the 39th edition of World Tourism Day, Puerto Vallarta is, since the second half of the last century, an eminent tourist destination that lives its centennial this year as a municipality. He indicated that since the creation of the World Tourism Organization (UNWTO) in 1974 and its subsequent insertion two years later in the United Nations Development Plan, tourism has been conceptualized not only as a simple economic activity but also as an economic activity. It is endowed with the philosophical and practical character of being an instrument of sustainability, of creating bonds of friendship between peoples, of economic and cultural development, among other characteristics. “Today we are here to remember the above, but we are also here to attend as a bridge from the present to the future, by sowing in this time capsule various elements of the current culture of Vallarta, whose recipient will be the society that will receive them in the year 2043, that is, 25 years after this moment,” said Gómez Encarnación. He added that within the activities of World Tourism Day, which are framed in the centennial year of Puerto Vallarta as a municipality, “people and government of this noble municipality, we give ourselves the task of sowing in this capsule of time, a small sample, testimony, of the culture of our present destined to the Vallartenses of the year 2043”, concluded the chronicler. During this event were present Alejandro Torres Magaña, general manager of the AHyM; His Excellency Ambassador Extraordinary and Plenipotentiary of Ecuador, Dr. Leonardo Arizaga Schmegel; Álvaro Garcíarce Monraz, president of the AHyM; José de Jesús Palacios Bernal, president of the Union of Owners of Urban Estates AC, among other personalities of the city.